Does the media follow public opinion or lead it? Probably a bit of both, but it is clear that the climate around drugs policy is changing in the public political and media spheres, and the momentum for change is building. As we described yesterday, quite aside from the unabating stream of supportive op-eds, The Observer, The Guardian and Sunday People, (and the Daily Record in Scotland) have now all recently taken editorial lines in their leaders critical of the drug war and supportive of moves towards the legal regulation of drugs. Which brings us back to the root of the problem. If Americans lost their taste for drugs, the Mexican cartels would be out of business. That, however, will not happen; indeed the forbidden nature of drugs may make them more attractive. So why not legalise them? The argument has been powerfully made before and will be so again, but probably to no avail. Sadly the barbaric drug wars will continue." "Yet Mexico is being pressured hard by countries like the US and Britain – both led by former drug users – to keep on fighting this war, while any mention of legalisation brings whispered threats of slashed aid and diplomatic shunning. Look carefully at that mound of butchered corpses found yesterday. They are the inevitable and ineluctable product of drug prohibition. This will keep happening for as long as we pursue this policy. If you believe the way to deal with the human appetite for intoxication is to criminalise and militarise, then blood is on your hands. How many people have to die before we finally make a sober assessment of reality, and take the drugs trade back from murderous criminal gangs?" The Independent editorial's pessimistic appraisal that "the barbaric drug wars" will inevitably continue is misplaced. They will not; no policy as self evidently counterproductive as the drug war can stand the sort of scrutiny it is now receiving for ever. Like the targets of many of the large scale social justice movements of the last century, what once seemed immovable can unravel far more quickly than anyone expects once a tipping point is reached. Four national UK newspapers have adopted unambiguous pro-reform editorial positions within three weeks. We could be nearer the tipping point than you imagine. "I feel like finishing my presidency on a controversial note. I personally back the chairman of the UK Bar Council, Nicholas Green QC, when he calls for drug laws to be reconsidered with a view to decriminalising illicit drugs use. This could drastically reduce crime and improve health. Drugs should still be regulated, and the argument for decriminalising them is clearly made by Stephen Rolles in the latest edition of the BMJ." The press release led to a huge amount of media coverage and debate in print and broadcast media over the following days, with Transform at the heart of much of it; having broken the story and with the BMJ piece on Transform's 'Blueprint for Regulation' specifically cited. Amongst the coverage detailed below, especially in the following days, were some very significant developments. There was also coverage in the Guardian (quoting both Danny and Steve), as well a coverage in the Times, Independent, the Herald Scotland, the Mirror, and many other regional papers. "Politicians could prepare public opinion for change by a public assessment of what Britain's war on drugs has achieved. It should ask whether better results could have come by a less damaging route. A policy that results, via the Afghanistan poppy harvest, in financial support for the Taliban, boosts international organised crime and is the underlying problem for more than half of the UK prison population will require some defending. Decriminalisation would not be an answer in itself. Legalisation is no quick fix. But prohibition's defenders need to show how, against its dire results, their policy can still be justified." "When the Misuse of Drugs Act was passed in 1971 our politicians, lawyers and medical experts still dreamed of creating a drug-free society. If we locked up all dealers and users the market would dry up... wouldn’t it? Forty years on it is clear that the war on drugs was a naive policy that failed miserably and injured more people than it protected. The huge profits of the international drugs trade fund terrorism, drive crime, and wreck lives across the globe. But jailing users does nothing to break the cycle of those who commit crime to fuel their habit. Now, at last, the Government is ­looking at the bigger picture and considering radical plans to decriminalise hard drug use. As we reveal today, 12,000 addicts could be moved out of jails and into hospitals to be treated as patients and not criminals. Top doctors believe it is the only way to cut crime, improve health and save public money. But it will be a hard pill to swallow for the thousands of victims of druggie muggers and burglars who steal to fund their habit. It’s a bold move. But if Ministers are finally having a “mature debate” on drug strategy they then need to discuss the “L” word. Legalisation. Criminalising some drugs while ­allowing a free market in others, such as alcohol and nicotine, makes no sense. Our leaders need to think the ­unthinkable and consider bringing the entire drug industry, from production to use, out of the shadows and under ­legitimate controls. Could we allow adults to buy limited supplies of drugs from licensed and regulated outlets and tax them as ­highly as possible without creating a black market? Legalisation may spark an initial ­increase in the number of adults who use drugs, albeit in safer and healthier circumstances. But should adults be ­allowed to make that choice – when many already choose to wreck their lives, quite legally, with alcohol? Tough questions – but the Government must seize the moment and ask them." OK, so not exactly how Transform might argue it but we have to welcome the fact that this -mostly reasonable- editorial appeared in a national paper new to the reform position and, like the Sun coverage, is reaching much wider audience than the same Guardian and Observer readers, most of whom are already sympathetic to the drug law reform position. The positive tabloid coverage in particular is a sure sign that this debate is moving into the mainstream and moving in a positive direction. The following day there was an additional appearance on CNN International, a 'Connect the World' half hour special on drug policy and law reform, with Steve debating former DEA agent Bob Stutman. CNNs Connect the World blog 'should we decriminlize drugs? And even some satire from the Daily Mash legalise drugs, says some crazy president of the Royal College of Physicians. Critical voices were, of course, also in evidence but curiously muted - the sense being that the media were struggling to find many. If there were pro drug war op-eds in any of the nationals we must have missed them. There were some quotes in the news coverage, however; In a widely quoted comment by Keith Vaz MP he stated that the legalisation of drugs "would simply create the mistaken impression that these substances are not harmful, when in fact this is far from the truth". This rather facile misconception about what a public health approach to drug regulation would entail is exactly the same one that he carried through the mostly awful 2010 Home Affairs Select Committee report on cocaine. Leading doctors argue prohibition of heroin and cocaine has failed and they should be decriminalised and allowed for use under licence and tomorrow the Government will launch a major review of Britain's drugs laws. Home Office Minister James Brokenshire will rule out new legalisation but call for a more "mature debate" on how to control drugs. You can only laugh (somewhat bitterly) at the Minister's concept of what constitutes a 'mature debate', one in which entire policy arenas he does not approve of are closed down before the debate has even begun. This despite the genuinely mature debate - one in which all options are on the table - that is happening in the real world (note links above for example), and being encouraged by the President of the Royal College of Physicians (not to mention the President of Mexico), and indeed Broke nshires own Prime Minister (albeit a while back). For the record decriminalisation of personal use, certainly non-prosecution of users, was also in the Lib Dem manifesto. They have been strangely and disappointingly silent during all this. There was a predictably critical blog post from Kathy Gyngel from the Center for Policy Studies, but it is a lacklustre and scatter gun affair by her standards (see the comments for some critique of the factual analysis). Overall - this has been a hugely positive few days for the UK debate. Its always hard to gauge how much impact events like this have; maybe it was just a silly season story on a slow news day. But it feels like part of a much more significant shift in the debate that has taken place over the last couple of years and appears to be accelerating- one in which the law reform arguments are being increasingly well understood for the principled pragmatic position they represent. Even Drugscope, usually very cautious in the debate, this week made a welcome call (in the Times) for decriminalisation to be considered (repeating a call they made back in 2001 but have been very quiet about since). Small steps as ever, but the direction of travel is the right one. Below is a press release issued yesterday by the US based Law Enforcement Against Prohibition detailing the newly announced support of the National Black Police Association for California Prop 19 ballot initiative that would legalise and regulate non-medical cannabis production and sale for over 21s in the state (details here). This follows the support of California's National Association for the Advancement of Black People backing the initiative last month. SACRAMENTO, CA -- A national organization of African American law enforcement officers has announced its endorsement of Proposition 19, California's initiative to legalize marijuana. The National Black Police Association (NBPA), which was founded in 1972 and is currently holding its 38th national conference in Sacramento, is urging a yes vote on legalization this November 2. "When I was a cop in Baltimore, and even before that when I was growing up there, I saw with my own eyes the devastating impact these misguided marijuana laws have on our communities and neighborhoods. But it's not just in Baltimore, or in Los Angeles; prohibition takes a toll on people of color across the country," said Neill Franklin, a 33-year veteran police officer and executive director of Law Enforcement Against Prohibition (LEAP), an international group of pro-legalization cops, judges, prosecutors and corrections officials who have been organizing to support Prop. 19. "This November, with the National Black Police Association's help, Californians finally have an opportunity to do something about it by approving the initiative to control and tax marijuana." On Thursday, Franklin spoke alongside California NAACP president Alice Huffman at the NBPA conference on a panel about criminal justice issues like marijuana legalization. Many cops and civil rights leaders are now speaking out against marijuana prohibition because it is not only ineffective at reducing marijuana use and results in the arrest and incarceration of people of color at a highly disproportionate rate, but also because making marijuana illegal has created a lucrative black market controlled by violent gangs and cartels. LEAP has organized a group of more than 30 California police officers, judges, prosecutors and other criminal justice professionals who support Prop. 19. Law Enforcement Against Prohibition (LEAP) and its 30,000 supporters represent police, prosecutors, judges, FBI/DEA agents and others who want to legalize and regulate drugs after fighting on the front lines of the "war on drugs" and learning firsthand that prohibition only serves to worsen addiction and violence. According to NBPA, there are 80,000 black law enforcement officials in the U.S.
His comments come in the wake of a flurry of calls for reform from health professionals, in the lead up to the publication of the Vienna Declaration, an international manifesto for reform, which calls for drugs to be decriminalised in order to promote individual and public health. "Sir Ian's statement is yet another nail in the coffin of the war on drugs. The Hippocratic Oath says 'First do no harm'. Physicians are duty bound to speak out if the outcomes show that prohibition causes more harm than it reduces. Sir Ian is justly fulfilling his role by calling for consideration of the evidence for legal control and regulation." 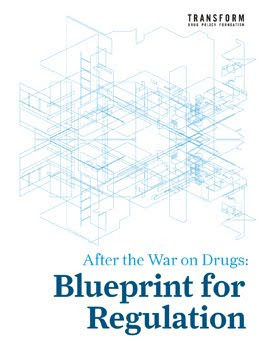 "With a Prime Minster and Deputy Prime Minister both longstanding supporters of alternatives to the war on drugs, at the very least the Government must initiate an impact assessment comparing prohibition with decriminalisation and strict legal regulation." "We recommend that the Government initiates a discussion within the [UN] Commission on Narcotic Drugs of alternative ways-including the possibility of legalisation and regulation-to tackle the global drugs dilemma (paragraph 267)." There have been two very positive developments for drug law reform in the last few days: On Sunday, The Observer newspaper ran a series of pro reform news and comment features alongside arguably the most unambiguous call for a debate on alternatives to the drug war, including regulation, yet to emerge from a UK broadsheet. 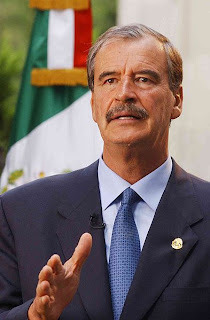 Meanwhile, the previous week witnessed the debate making a significant step forward in Mexico when President Calderon joined calls for a debate on legalisation as a response to the country's growing crisis, followed by a clear call for legalisation and regulation by his presidential predecessor Vincente Fox - both statements receiving massive international media coverage. The coverage then describes some of the developments in the Americas, from the Mexican president's recent comments through to the growing cannabis law reform activity in California and elsewhere in the US. 'Prohibition consigns the drug market to criminalised actors not subject to oversight of any kind. Legalisation would mean regulation and regulation is the best way to control the dangers of drug use, while cutting the cartels off at the knees'. 'If the purpose of drug policy is to make toxic substances available to anyone who wants them in a flourishing market economy controlled by murderous criminal gangs, the current arrangements are working well. If, however, the goal is to reduce the amount of drugs being consumed and limit the harm associated with addiction, it is surely time to tear up the current policy. It has failed. This is not a partial failure. For as long as courts and jails have been the tools for controlling drugs, their use has increased. Police are powerless to control the flow. One recent estimate calculated that around 1% of the total supply to the UK is intercepted. Attempts to crack down have little impact, except perhaps in siphoning vulnerable young people into jails where they can mature into hardened villains. When a more heavyweight player is taken out, a gap opens up in the supply chain which is promptly filled by violent competition between or within gangs. Business as usual resumes. The same story is told around the world, the only difference being in the scale of violence. Writing in today's Observer, retired judge Maria Lucia Karam describes the grim consequences of a failed war on drugs in the cities of Brazil: thousands of young people murdered every year by rival dealers and police. Few nations are untouched by what is, after all, a multibillion pound global industry. Importing countries, such as Britain, must cope with the social effects of addiction and end up squandering the state's resources on a Sisyphean policing task. But that suffering is mild compared to the destructive forces unleashed on exporting countries. Mexico, from where cartels supply a range of drugs to lucrative US markets, has paid an extraordinary price for the illicit appetites of its rich neighbour. The border region has become a militarised zone with violence at the level of a guerrilla insurgency. 'Prohibition entails a double dishonesty. First, there is the pretence that the supply and demand can be managed by force. But anyone who has experienced addiction knows that banning a substance restricts neither access nor desire. Usually, it makes matters worse, bringing otherwise law-abiding people into contact with professional criminals. Most addicts, meanwhile, say their problems start with the need to annihilate feelings of despair or memories of trauma. Prosecuting them for those problems solves nothing. 'By its very nature as a coalition, encompassing a broad spectrum of political views, the new government is well placed to inaugurate a free-thinking national debate on an issue that has been constrained by policy blinkers. Neither David Cameron nor Nick Clegg seems much in awe of political taboos. Both men, in fact, seem to take pleasure in breaking them. But their ability to do so with impunity lasts for as long as there is goodwill towards their project. This is a moment in which a political leader could steer the drugs debate out of its current dead-end track and towards something more meaningful and more likely to deliver what the public ultimately wants: safer, healthier, happier communities. 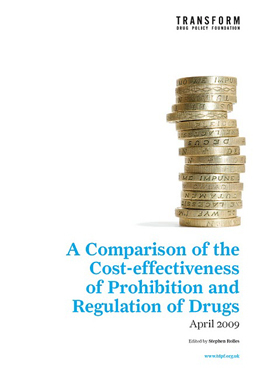 It is far from certain that decriminalisation, regulation or legalisation would work. But they should be examined as options, for it is absolutely certain that prohibition has failed'. We should perhaps not hold our breaths, but the mere fact that such a discourse is taking place in the mainstream media, with language and analysis now routinely being deployed that would have been seen as extreme and radical only a few years ago, shows how far we have moved. 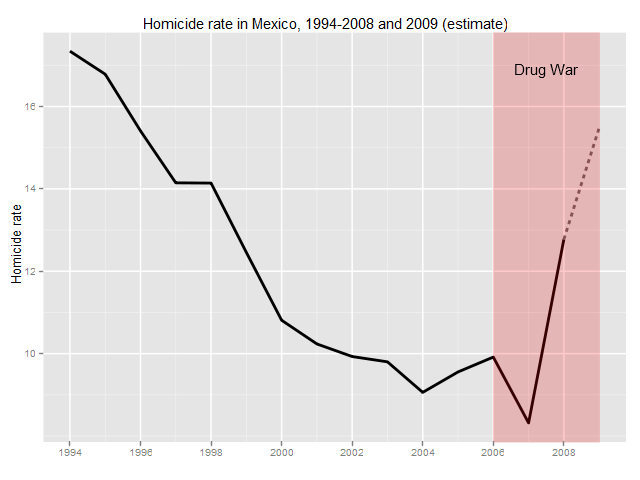 Sources: Homicide data from INEGI, population data from CONAPO. Even Calderon's qualifying comments that followed the initial statement days later are revealing. He stated that "If they [drugs] are not legalised in the world, or at least the United States, it's absurd because the price of drugs is not determined by Mexicans, it's determined by consumers in Los Angeles, New York, Chicago or Texas,". This is a long way from saying that legalisation and regulation is absurd in principle. Rather he is qualifying the call by saying, rightly, it would be problematic to move unilaterally given the centrality of the US market to Mexico's illicit trade. This very clearly leaves the option open regards bilateral reform with the US - something no longer a complete fantasy given the movement towards cannabis law reform in much of the US, particularly California, which holds a referendum on legalisation and regulation of non-medical cannabis this November. It is also worth bearing in mind that despite contradictory noises from the new New US administration (progressive on public health in some respects, but still hawkish on supply side enforcement) Obama is on the record saying that 'the War on Drugs has been an utter failure'. "Legalization does not mean that drugs are good ... but we have to see (legalization of the production, sale and distribution of drugs) as a strategy to weaken and break the economic system that allows cartels to earn huge profits,"
"Radical prohibition strategies have never worked." Read the whole thing - in Spanish - on his blog. Again it is welcome to see prohibition rightly being positioned as the radical solution, and the term 'legalisation' being associated with regulation. Interestingly, these comments are not dissimilar to ones he made in 2001 whilst president, although like Calderon he caveated his analysis by highlighting the difficulties of a unilateral move. This is about more than the growing line of ex-presidents though - Cameron, Clegg, Obama, Calderon; all give a clear sense that the intellectual journey, accepting the failure of the drug war and need for reform, has been travelled - the concerns are political ones rather than practical or philosophical ones. As the environment becomes increasingly hostile to profligate and counterproductive drug war expenditure, and the case for reform gains increasing mainstream traction perhaps the political climate will soon allow for real change to happen, and the Observer is right that we really do have a unique chance to rethink drug policy. It has also been welcome to see Transform's 'After the War on Drugs, Blueprint for Regulation' getting extensive and positive coverage in one of Mexico's leading newspapers El Universal; see here in original Spanish, and (not brilliant) Google translated English version. Transform were also invited to contribute a comment piece on Blueprint to one of Mexico's most influential Policy Magaznes, Nexos, earlier this year. On Monday 2 August at 8:00pm the first of a three-part series on Channel 4 'Our Drugs War' will be broadcast. Unashamedly anti-prohibitionist in tone, the excellent first part (1 hour) can now be viewed online here.